We are doing sauces for this #SundaySupper. I immediately went for a savory sauce, like a really good red wine reduction or a pasta sauce but then I thought of fall and the flavors of fall and my mind went to pumpkin!! Pumpkin ideas rattled around in my brain and then I came up with a decadent hot pumpkin caramel sauce. One that would be great with a really good ice cream or maybe even a spiced cake or loaf. I went back to my favorite caramel sauce that is already dark and rich and added the pumpkin and fall aromatic spices. It turned out amazing!! What a quick and delicious sauce that screams fall, it is like eating liquid pumpkin pie!! Oh my heavens, is this good!!! Open up here is a spoonful with ice cream coming your way!!! A rich and decadent Pumpkin Caramel Sauce!! 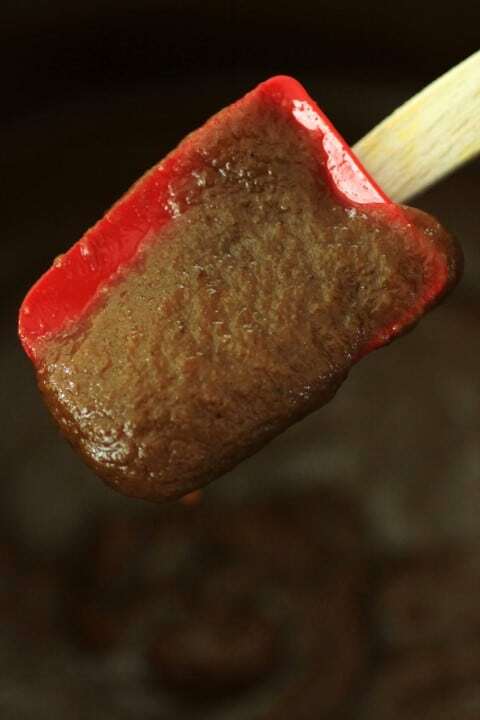 Melt butter with the salt and brown sugar in a medium sized pot over medium heat. Stir to combine, slowly add the cream and vanilla and bring to a boil. Boil rapidly for 2-3 min. Remove from heat and whisk in the pumpkin and spices. Bring back to a boil and simmer for 2 min. Remove from heat and serve warm over ice cream or cake. Look at all the amazing Sauce It Up recipes for you to drool over, ENJOY!!! I totally want this on pound cake right now. Literally. NOW! Yum! It looks so awesome! Thanks so much Shannon, it was really good!! 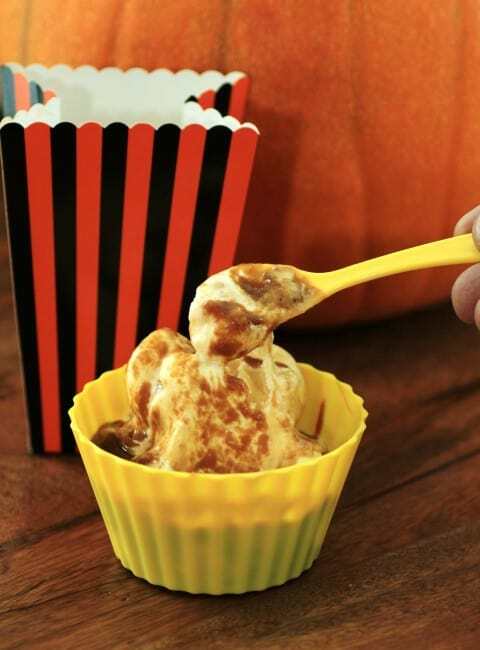 Great idea to add pumpkin to caramel sauce! So fall perfect! Liquid pumpkin pie, hmm? Sounds scrumptious! It is scrumptious, thanks Kim!! Thanks so much Megan, tell me when you make it!! What a great fall recipe. The sauce looks fantastic. Tara, you out did yourself! This looks incredible! I can only imagine how wonderful it must taste!! Thanks so much Jennifer, you are always so sweet!! What a fabulous idea!! I want to pour it all over a big bowl of vanilla ice cream right this second!! Thanks Tammi for coming over!! I just realized that I have everything here to make this sauce!! I will be going to get ice cream ASAP!! I am so glad you liked it so much Bobbi, ENJOY!! This looks fabulous. I love caramel and pumpkin together. You had me at liquid pumpkin pie. Oh, this is happening! Pinned. 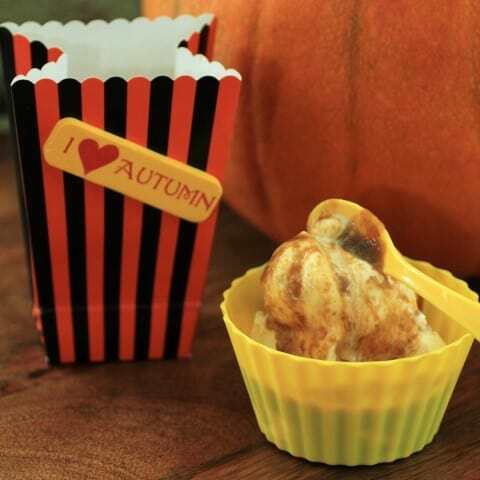 Such classic fall flavors, I never thought to pair pumpkin and caramel, yet it makes sense. Thank you for participating this week. Thank you so much for hosting and for coming over to visit!! I wrote up my submission on the forum this week then never clicked submit, like an idiot! So i had to post this week without being in #SundaySupper Good job I didn’t really, we had the same idea! 🙂 Pumpkin caramel sauce for the win. Oh no, I will come over and see yours too. Great minds!! Thanks for coming over!! This sauce looks so yummy. I cannot wait to try it! Ah thank you, and thanks for visiting us!! Caramel that tastes like liquid pumpkin pie? SOLD! Oh my goodness, this looks heavenly! I would love some of this sauce over a big scoop of vanilla ice cream… yum! Perfect for the fall, too! Thanks so much for your kind words Isabel!! mm I can think of 100 desserts that I’d like to put this on! Thanks for coming over Angie!! Can I lick the spatula? Tara, you had me at “liquid pumpkin pie.” This looks incredible. I’m going to add this to my “drinking caramel” collection, lol. Thanks so much Nancy, it was soooo good!! OMG – is this even real???!!!! This looks incredible! Mind = blown. LOL Julie, yup it’s real!! Thank you!! I love caramel sauce and adding pumpkin to it sounds like an amazing fall treat! Perfect!!! I’m drooling looking at this sauce – amazing!!! I saw your feature at Our Table for Seven and had to click! this sounds delicious! Thanks so much for coming over Jen, I am so glad you liked it and I hope you try it too! !